Do you enjoy being inspired by others? These podcasts are for you. You’re set. You’re about to hop in a car or onto a bus for a 40-minute commute with a music playlist at the ready. Each song was carefully chosen to fit the playlist’s theme. Even after all the preparation, you might not realize you don’t feel like listening to music until the tenth skipped song. Podcasts may just be the alternative for you. They are more independent and creative than public radio, so the content you hear is freely given and easily provided. Even if you’re a college student about to go listen to a two-hour lecture, these wonderful podcasts could be for you. They are inspiring, beautifully made, but most of all, they’re genuine. If you want to be moved, entertained, and swept away by live storytelling, "The Moth" will do just that. This project was launched in 1997, but it wasn’t until 2008 when the podcast began. Each episode plays selective clips of the live shows The Moth hosts. Some are funny, some are sad, but all are real. Each storyteller braves a stage by themselves to share a genuine tale. Regular episodes are 20-25 minutes long. Radio hour shows are about 55 minutes as are the recordings of The Moth GrandSLAM competitions and showcases. Special guests show up from time to time like Molly Ringwald and Neil Gaiman. Updates are every Tuesday. Overall, The Moth Podcast is perfect for those long commutes to and from home when music just doesn’t cut it. Hilarious, genuine, and nostalgia-inducing. Adults read diaries, poems, and other types of writing from their childhood and teenage years. It’s best not to listen to this in a public space unless you don’t mind strangers being around when you burst out laughing. You’ll feel thrown back to your own past as the storytellers read embarrassing love letters, immature reasoning to petty problems, and even dark diary entries. With a wide variety of topics from a long timespan, you’re sure to hear a story that resonates with one of yours. GRTTWaK’s episodes are about 30 minutes long. Updates are 2-3 times per month on an irregular schedule, but episodes are available online through various agencies. An inspiring program that focuses on women working in media and how they got there. Listeners are invited to hear personal stories and creative processes from guest interviews. In the background are complementary song also made by women. You’ll hear heart-wrenching background stories, quirky quips, and the leaps and bounds women had to take to reach their success. The program is artfully put together as is the concept. If you are also a woman who wants to work in media but feels stuck, listen to this. The media industry is competitive as it is, but it’s comforting to hear women working together to share success. 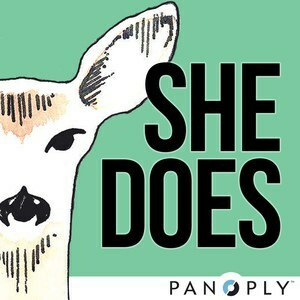 "She Does" updates every Wednesday. Short episodes average around 8 to 11 minutes in length. Long episodes are about 35 to 41 minutes. You can listen and subscribe to this podcast here. "Story Jam Theatre’s" message to listeners is, “To live a life worth telling.” Similar to "The Moth Podcast," this program records live readings from various shows around the Tampa Bay, Florida area. As the program grows, the creators hope to expand its reaches in other areas of the Southeast. Although not as popular as "The Moth Podcast," its format is very similar. Episodes are short, ranging from 5 to 16 minutes on average. It is currently on hiatus as it prepares for season two to come back later this fall, but all past episodes are available to listen to for free online. Whether you’re going on a run, enduring a long commute, or doing something else, podcasts are fantastic for passing time when music doesn’t cut it.